We here in old Maryland are a little bummed that you are there and we are here. We are even more bummed that you took our answer to prayer, Baby Button, with you. And still more bummed that we can't work out a way to celebrate a baby shower with you. Never fear though. We are so incredibly creative that we have worked all of these issues out. Our little baby shower gift to you is the gift of blog. We, well mostly Brianna (I am the idea man, you know) has set up your very own blog. Where you can post pictures of you for the duration of your pregnancy. Magically, this wonderful site will become home of all the baby button pictures and news for us back home. Brianna and I will be at your disposal for know how advice. We are just an email away! Now here is the magic button to take you to your page. Just click and then tell me what a great idea it was. (I do crack myself up!) 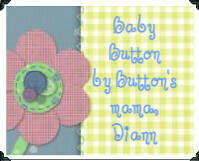 And to my lovely readers, I invite you to click over to Baby Button's page and welcome my dear sister, Diann, to blog world! 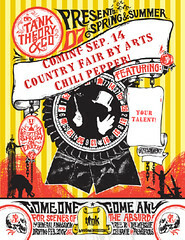 And don't forget to click on the button below to check out the country fair coming to my blog in September! Love it, Kat! You go girl! Now I'll hop on over and see it. Love your new look, by the way! How precious. I am on my way over. That is a great idea. I have a new niece coming in October, way down in Florida, and I have been hoping my brother and his wife would start a blog. Maybe I will just do it for them! I also love the new look! You're brilliant :) How's that for following orders and instant gratification? As soon as I receive information from Nana, I will start updating! Have a couple of sonogram pictures I can add. Now that is one creative gift idea and with Brianna's talents it will definitely be beautiful! Great Idea to stay in contact with each other and see the pictures of the baby. This will also keep you all together even though so far apart. Ok, your the women. This was a such a great idea! What a cute idea. Going over now to say Hi. This is going to be valuable for you all! The blog world is a blessing to so many. I'm going to pop in to visit with your sister! I popped over to your sister's blog and totally forgot to comment on yours, lol! What a sweet idea. I don't think my sisters will ever blog and I know my brothers won't. Fortunately I have all my blog friends (like you) and a few of my IRL friends blog too. 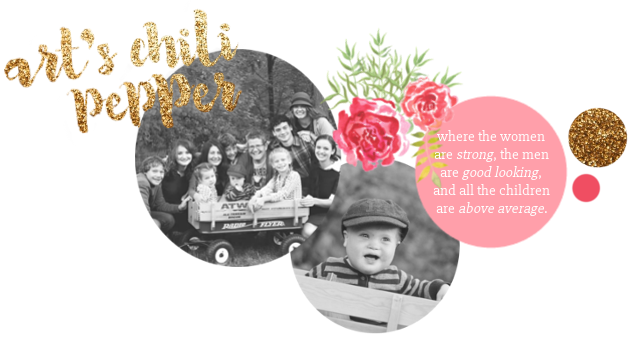 Blogging is a great way to keep in touch, and it will also help your sis have a "baby book" of sorts. You girls are so creative! Could I adopt you all?? ?